LevelOne Design Studio is a new concept style as a provider of fine luxury windows, doors, and architectural products. What sets us apart are our core values, open communication, and follow through with every project. Our principles and foundation are based on integrity. The Studio, which is currently under design, will be contemporary, cutting-edge, and a place for creativity and collaboration. No more stodgy, packed-to-the-gills showrooms with dusty samples in the corner. Today's architects, builders, and clients alike are looking for a partner that is there from concept to completion, they want a partner that follows through with their word. LevelOne is committed to creating a work environment that is conducive to learning and provides a team-approach to problem solving. We've thrown out the boring company meetings and replaced them with success sessions - we encourage our clients to share this time with us as well. What is success to us? Doing the right thing no matter what, even when no one is looking. Everything starts and ends with integrity. Whether it’s building our business, building a relationship with our clients, working with our vendor partners, or providing the best opportunities for our team, every project begins with what LevelOne exemplifies — integrity. Perfecting the way you view the world. Mansion Windows & Doors is an industry leader specializing in residential windows and doors. We take great pride in providing you with the absolute best products on the market at a price within your budget. Our team of professional technicians is available to handle any installation or servicing needed. Above an beyond great products and service, we believe the most important outcome of any project is that everything was done with honesty and integrity. Nobody is a better judge of excellence than the area’s top builders. Mansion has the pleasure of working with many of the regions top builders on a consistent basis. FAS Windows & Doors is Central Florida's largest volume window and door dealer, with direct from the factory pricing for replacement and new construction windows and doors. FAS stands for Father And Son, and Ernie & John Wilding stand behind the sale and installation of every product we carry. FAS Windows & Doors is in business to provide you with the highest quality and most energy-efficient windows and doors available from the nation’s top manufacturers. We proudly carry American-made windows from Andersen, Eagle, Simonton, and PGT, among others! FAS Windows & Doors ensures that all local regulations are adhered to when we perform work at your home. For your protection, we secure permits on all installed jobs. You work hard for your money and you expect quality products and service from your contractor. We assure you that FAS is a reputable and reliable company, worthy of your trust. We look forward to your call, meeting you and building a relationship with you, your friends and your neighbors. Call Today! Since 2010, US Discount Shutters has serviced Central Florida and coastal residents and businesses to protect their properties from hurricanes and intruders. We manufacture and install a full range of hurricane-rated products to fit any budget. The shutters that we provide are Storm Panels, Colonial, Accordion, Bahama, and Roll Downs Shutters. "Authorized MI Windows and Doors Dealer" Alliance Building Material Supply is a privately owned corporation in central Florida providing window installation and door installation. We provide windows and sliding glass doors to builders and home owners throughout the state of Florida. We pride ourselves in providing a quality product, and offering quality door and window installation. The windows and doors we offer help to create a more energy efficient home, which in turn saves home owners. We make the process of window replacement and door replacement very simple for the home owner. At the beginning of the process we will provide a competitive and informative estimate for the home owner to review. Once the home owner is ready to proceed with the order we will measure for accuracy of the order. After the windows come in to our warehouse we will schedule to have a qualified installer remove your existing windows and install your new energy efficient windows and we will work within your scheduling needs. Should you prefer to install the windows on your own, we can offer an estimate based on these needs as well. Our goal is 100% customer satisfaction and we will go the extra mile to meet and exceed our customer expectations. As a preferred Loewen dealer, we pride ourselves on creativity, customer service, and execution. Our focus is not on the products alone, but on the relationships cultivated and maintained throughout the process. Working closely with the manufacturers, we're able to ensure that all products are created specific to each client and at the highest quality. Furthermore, every window and door is certified for energy efficiency and rigorously tested to meet or exceed the most stringent coastal codes. Our commitment doesn't stop with the quality and durability of the products. From sale to install, we work diligently to surpass the expectations of our clients. Hello, thank you for visiting Baxter Windows! Baxter Windows’ office and showroom is located at 102 Drennen Road, Suite B11 & B12 Orlando, Fl. 32806. About 3 miles south of the Orlando downtown area, off of Orange Avenue. We are a local, Central Florida family owned and operated Window Replacement and Installation company. Fully state licensed Certified General Contractor, #CGC1522010 and insured. Our family either supervises on site or actually installs the windows. Personal service is assured. 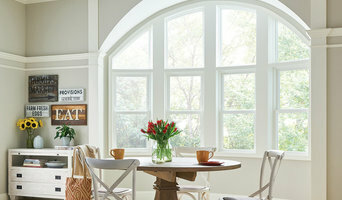 Baxter Windows only offers one grade of window from 2 different manufacturers, Simonton or Associated Materials. Each of these manufacturers offer a similar quality product at the same price. Each carries a life-time transferable warranty which includes glass breakage. A lifetime warranty is considered as: (1) After the sale of the second owner (1 transfer). (2) 20 years or 30 years depending on which manufacturer we use (ask for details). Copies of our/manufacturer’s warranties can be emailed or given to the customer during their appointment. Which manufacturer we use depends of various aspects of your window project. There is no window that we can not make; size and or, shape (within the guide lines of local building codes). There are ways of saving money on your job and we cover all of those options with you, without sacrificing quality. Our in-home estimate is fast and computer based because we believe in being a GREEN company. We can email the estimate right from your dining room table using our own WiFi hot spot or print it up using a portable printer-your choice. Either way, from door knock to estimate, averages 30 minutes. Nothing hand-written and all the parts and pieces are spelled out for you; we are very transparent. After 30 successful years in the construction and masonry industry as Dexaco Masonry, we have realized the importance of energy conservation and efficiency. We are now specializing in windows, doors and siding as A and W Home Improvements. A&W Home Improvements understands how important it is for your home to be energy-efficient and beautiful, which is why it is our passion to provide you with home improvements that can help you achieve those goals. Our mission is to provide you with specialized home improvement products and services that can improve your quality of life and increase the value of your home. All of our staff are fully trained, licensed, and certified. Renewal by Andersen® of Central Florida has been a premier destination since 1996 for window and door replacement in the Orlando FL area. We stand out from the competition for three reasons: 1. We offer windows and doors with superior surfaces. 2. We handle all permitting duties. 3. We offer an ease of process you simply can’t get anywhere else. Our parent company, Renewal by Andersen, has replaced more than two million windows across the country in its 100-year history. We make it our mission to continue on that tradition of excellence as your dedicated window contractors in Orlando FL, where you can count on us to do the job right with the professionalism you’ve come to expect. For decades, Nona Glass has been a leader in the installation of glass shower doors and enclosures. We provide a great variety of doors to choose from. Have one of our expert installers add brand-new glass doors today. Nona Glass provides residential window replacement to meet any specification. We've provided more than a century of excellence to residential window customers, so when it comes to your home, you can count on Nona Glass. A lot can be said about Florida weather and ways to enjoy it. Having your own swimming pool guarantees you’ll get out and soak up the sun and enjoy the company of friends and family. What you don’t want is uninvited guests such as disease-carrying mosquitos and palmetto’s bugs. Debris from a thunderstorm covering your pool can create extra work and make your pool need more chemicals to combat algae. A screen pool enclosure eliminates these problems and creates a private zone for your friends and family to enjoy your pool. We can custom design your screen pool enclosure to match the architecture of your home to make it integrated into the rest of the home. We cal also do a more simple design, whatever you want! We also offer supplemental services for pool enclosures, including screen repair and gutter installation and repair. We also offer storm damage repair so you can get your pool open quickly and get back to enjoying the great Florida weather. Mid State Construction has been in the Florida home improvement business over 20 years and has installed more than 40,000 windows and doors in the Central Florida area. If you are looking for vinyl siding in Central Florida, replacement windows in the Central Florida/Orlando/Lake County, Kissimmee area, Florida screen rooms, patios or Florida glass rooms, we are dedicated to providing you with the best service and products at competitive pricing. All of our home improvement installers are highly skilled, conscientious, courteous technicians who have a minimum of 10 years of experience and training. We provide the complete job, from concrete pads to clean-up. Every job we install is guaranteed, and if you need service, we will provide it free of charge. So, call us today to see why Mid State Construction is the answer to your home improvement needs in Central Florida, from replacement windows to vinyl siding to screened rooms, Florida rooms, glass rooms, screened patios. Window specialists can recommend the most suitable type of window for your home, whether louvre, leadlight or sash, and will advise on the best positioning for style, function and energy efficiency. They can also survey existing windows for rot, improper sealing, worn hinges, and foggy double-pane glass, and will tell you whether or not a window replacement or upgrade will be necessary. The professionals in this category are also knowledgeable in sliding doors, bifold doors, French doors and other paned portals. 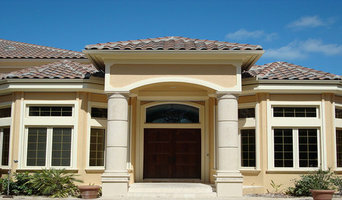 Your window specialist may also work closely with Orlando, FL builders and architects. Here are some related professionals and vendors to complement the work of windows: Shutters, Blinds & Curtains, Building Project Managers, Home Builders, Specialty Contractors, Cladding & Exteriors. Find a window professional on Houzz. 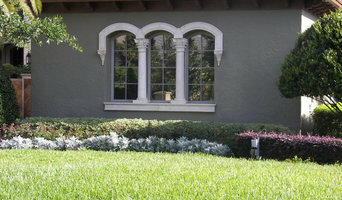 Narrow your search in the Professionals section of the website to Orlando, FL Windows. You can also look through Photos to find examples of windows you like, then contact the professional who is responsible for them.